People often asked me whether I should go for Individual policy for family members or should I go for Family Floater. Our answer had been consistent, If you can afford, then individual policy would be better especially, if the policy includes people of higher age. Most people would abide by our recommendation and buy family floater for young family (immediate family consisting of spouse and children) and individual plan for aged people. Of course when this was recommended there was no restore option in family floater plan. It essentially means that there shall be automatic restoration of the Basic Sum Insured immediately upon exhaustion of the limit of coverage during the policy period. For example the couple has family floater policy for 3 lakh. If the one of the spouse covered under the policy was admitted to the hospital and underwent a Bypass Surgery costing 3 lacs and unfortunately, in the same policy year the other spouse had to be hospitalized due to accident and the expenses incurred during hospitalization was Rs1 lac. The insurance company would have only paid Rs. 3 lacs for 1st hospitalization and the couple would bear the cost of the 2nd hospitalization from their own savings. In case they had bought the policy with the “restore option” Both the hospitalization would be covered. As soon as the limit gets exhausted the sum insured would be automatically reinstated to the original insurance cover. Let us understand further, suppose the 1st claim for Bypass Surgery is 4 lacs instead of 3 lacs. Then amount payable for 1st claim would still be 3 lacs and 1 lac for the 1st claim would be paid by the couple from their savings. The 2nd claim for the accident would still be paid under the restore option for the other spouse’s hospitalization. In the same example, if the 1st claim for Bypass Surgery is 2 lacs and the 2nd claim for accident for other spouse is 2 lacs then 2lacs for 1st claim is payable. However, only 1 lac for the 2nd claim for other spouse is payable. The restore is only triggered when basic sum assured is exhausted. Who offers the restore option? All these plans are relatively new. L&T Insurance offers the restore option only in case of second hospitalization due to an accident. For Insurance cover of 5 lacs with Restore option, a family of two kids below 18 years and parents aged 36-44 years residing in Delhi. The premiums are below. It sound really great, Are there any catches? This option is not available for lower sum insured. 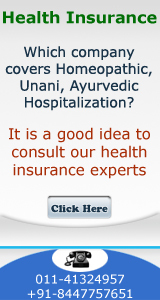 Both Apollo and Star Health plan provide this benefit for cover of Rs. 3 lacs and above. The restore benefit cannot be claimed on the disease/illness for which the claim has already been made in the policy year. If you are looking for plan with additional benefits such as maternity benefits, critical illnesses cover, cash benefit for accompanying the insured child etc, these plans would not be providing these benefits. 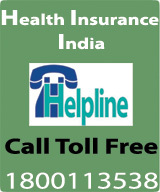 Overall the plans are appealing and have been received well by the buyers of health insurance policy. Companies are even accepting portability under these new plans.